Curly dock weed is a perennial weed that is a member of the buckwheat family. It has a characteristic jointed stems, a membranous sheath at the leaf base, and usually swollen nodes. Mature curly dock weeds have stout stems and can grow between 2 to 5 feet (0.6 to 1.5 m) tall. The curly dock weed has succulent cotyledons that are 3 times long as they are broad. The young seedlings vary in color, from green to red tinge in the cooler months. Stems are unbranched, thick, without hairs, ridged, often reddish in color. They have roots that are large, fleshy tap-root, yellowish orange in color. Flowers of the curly dock weed come out in clusters on the upper portion of the elongating stem, consisting of greenish sepals that become reddish-brown with age. Curly dock weed usually grows in wet areas such as those caused by overwatering or those in low areas with standing water. They are found in weed pastures, hay fields, forages, landscapes, and some agronomic crops. Most curly dock weeds cannot survive in hot and dry conditions because they need areas that are always moist and has plenty of water. Curly dock weeds normally germinate during the fall season. Curly dock weeds reproduce from seed and by vegetative regeneration of the underground organs. Seeds can be transferred through wind pollination or through machineries, for example, when plowing the field. Pulling: Hand or mechanical pulling are effective ways to remove curly dock weeds. Individual curly dock plants can be successfully eliminated from turf areas quite easily, so long as at least 2/3 of the tap root is removed. Dig deeply or pull gently to ensure that the tap-roots are removed to prevent re-sprouting. This should take place once the flower stem lengthens but before flowering. 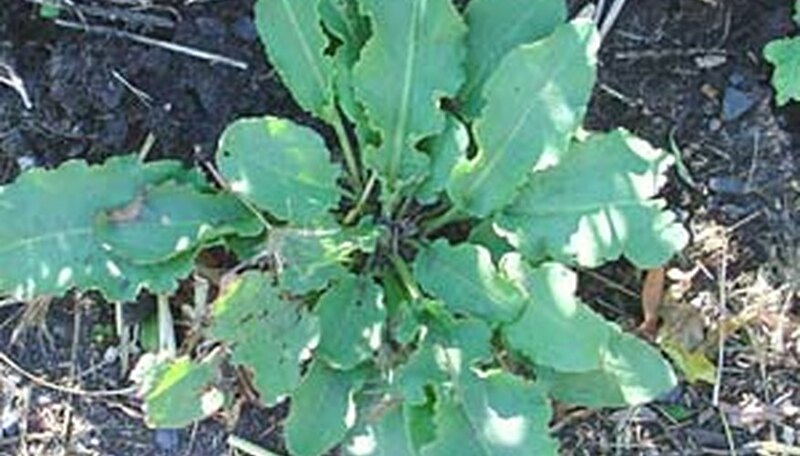 Weed Killers/Herbicides: Apply herbicides to control the curly dock weed population. Post-emergent herbicides may be applied in areas where there are larger infestations. Apply herbicides when curly dock is young and actively growing for better results. Mowing: Mow the grass to discourage the growth of the curly dock weeds. Mow at just the right height, avoiding mowing too low. * Avoid Overwatering: Since curly dock weeds love the wet areas, avoid overwatering your planting beds and lawn to prevent standing water to accumulate. * Animal Grazing: Sheep, goats, and cattle can graze which control the curly dock weed population.